Hats lined up for just a portion of the weeks jobs! What have the Romans ever done for us? Don’t get me started! 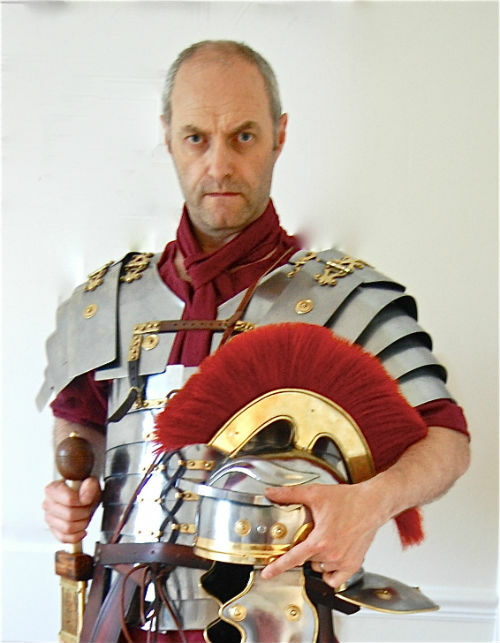 we’re really enjoying working with The Education Group, supplying historical workshops for schools, explaining all about Romans and also the life of WW1 soldiers. Bringing history to life like this is what makes it fun for children to learn and also for an actor to interpret the character and make it real for all involved! It’s just Sophie, our baby T-Rex wanting to join in with the cheerleaders!